That first night, I dreamed about the scholars. Nothing profound. They just appeared here and there in other stories, silent, like Hollywood extras, filling out the scene. But I noticed them. I saw them. And I woke to wonder how I could possibly do their stories justice. How can I allow others to see what I saw, to hear what I heard and to feel what I still feel? It’s as if an honor has been bestowed upon me and I am fearful I am not worthy and that I will fail. • It all began as we made our way through customs and immigration. 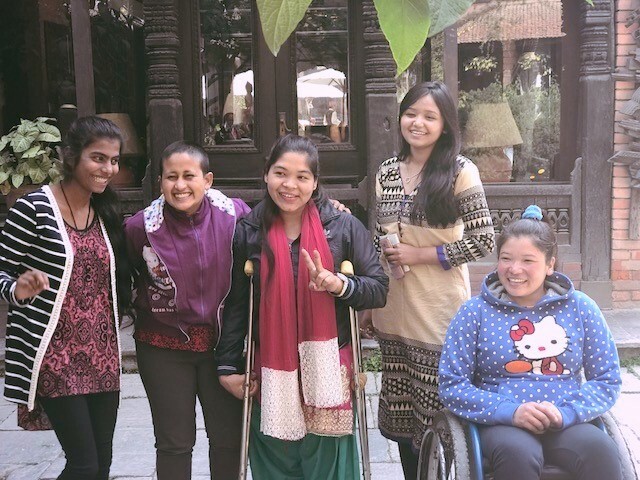 We were met at the Kathmandu airport by Sarita and Babita, sisters, scholarship recipients, graduates who are now successful women in a country where opportunities for women are hard fought and won. They greeted us with silk khatas, a heartfelt welcome and homecoming for Sonnia. • The next day, we met the scholars, board and alumni. 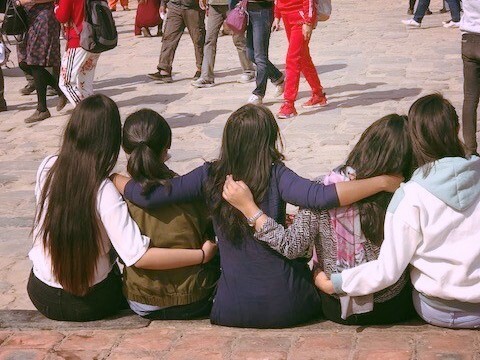 A beautiful, warm day in Kathmandu, I expected the kind of shyness that happens when you meet someone for the first time. Someone from thousands of miles away. But instead, we were greeted with smiles and squeals of delight. “Namaste” “Welcome to Nepal” “Sonnia didi! !” I watched in awe as even the scholars, many of them having just met, were like sisters, encouraging each other, giggling as we did our introductions over a silly icebreaker. I was immediately put at ease, welcomed into this beautiful family. • As we did our interviews and took pictures over the next week, I learned about each one of them. Stories of hardship, challenges and perseverance. Stories of success. Stories that spoke to the incredible difference that the scholarships have made in their lives. They spoke of long days, weeks and months, focused solely on their studies, because failure is not an option. Because their families and communities are looking at them, watching. It seems they all have something to prove, to themselves and to the world. And they do not disappoint. • We saw firsthand just what an amazing Board and staff we have in Nepal. 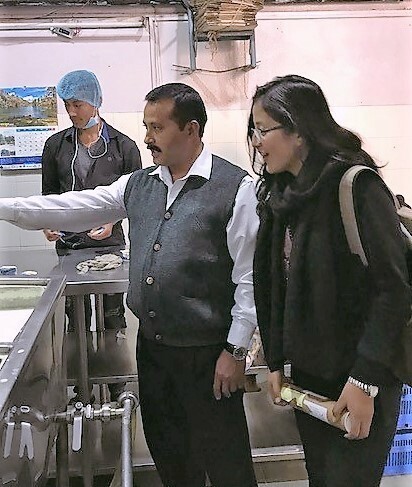 Neema Sherpa and Rama Poudel coordinated the visit with precision, not an easy task given that activities for over 32 scholars had to be coordinated! 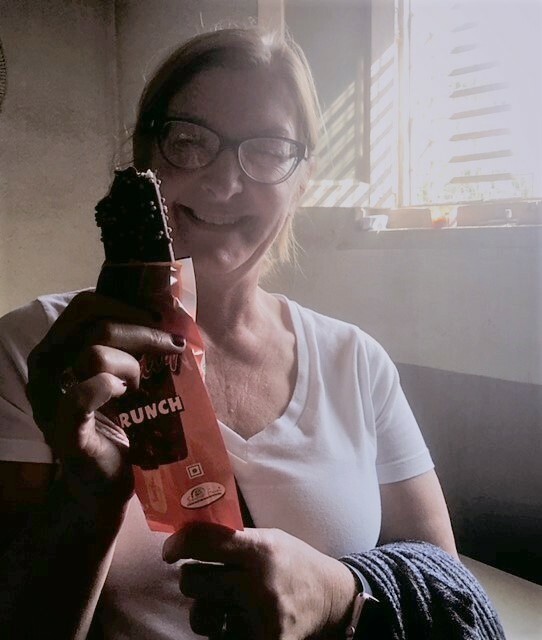 • So many other people in Nepal helped to make our journey special. From the hospitality at Dwarika’s, a lovely oasis in the heart of Kathmandu, appointed with beautiful and historic architecture and artifacts. Our friend Nirdosh Shahi and the staff made sure the scholars were treated as well as their celebrity guests. And the friendship of Hem Ratna Sakhya and Rajman Bajracharya, who welcomed us into their homes and despite Sonnia’s insistence that they not cook for us, of course they did. And Chadani, one of our scholars, proudly taking us to meet her father at the ice cream factory where he has worked most of her life. Our driver Thapa, safely weaving through the crowded and chaotic streets of Kathmandu. Our hosts at Thamel Eco Resort, carrying our bags, serving us delicious food and chiya masala, taking personal responsibility for our comfort. 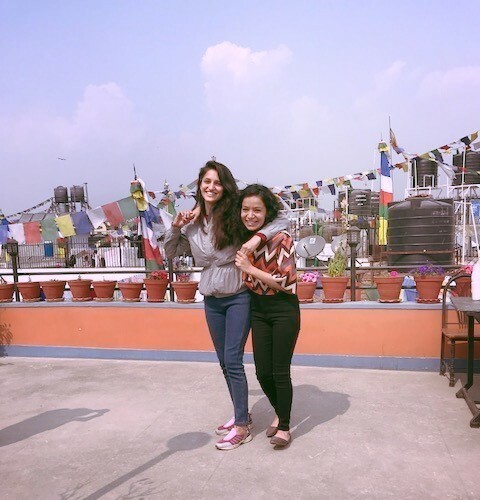 Special thanks to Nikita and Sandeep Sakya of Nepal Mandala Travels for making all the travel arrangements, including a wonderful city tour and visit to Pokhara for Shannan. 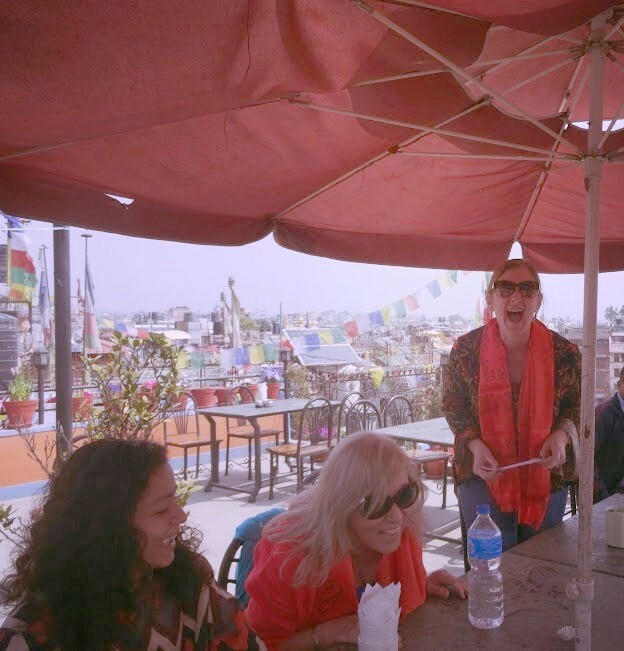 How does one even start to tell the story of a journey that began long before Sonnia and I set off across the globe to visit these strong and amazing women in Kathmandu? How is it possible in just two short weeks to go from stranger to family and know that these bonds we formed will stay with us forever?